Here is another of Peter's small C.E.O. assisted opening knives. 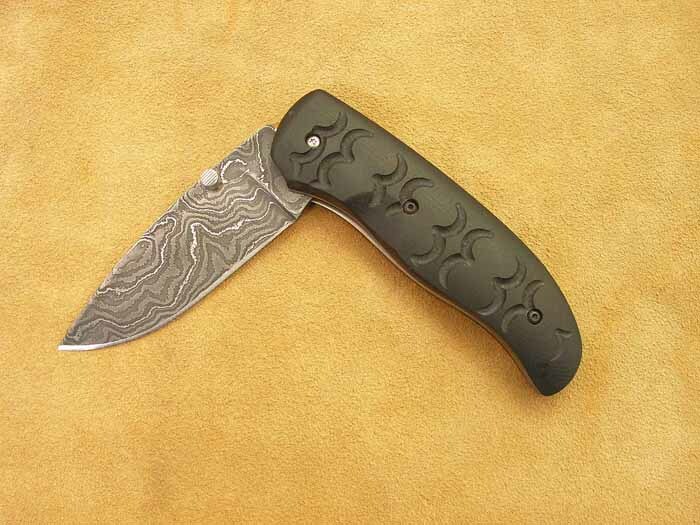 The Damascus blade is 1095 and L-6 blade and is 3" in length and the overall length is 6 15/16". The scales are G10.